Outsource Data Processing, Conversion Job to DataEntryHelp.com: Why should outsourcing XML conversion services to DataEntryHelp? Why should outsourcing XML conversion services to DataEntryHelp? XML (Extensive Mark-up Language) is a cross-platform web-publishing format used to display and store information on the internet. The advantages of XML over other web-publishing formats include its flexibility, scalability, versatility and validation ability. 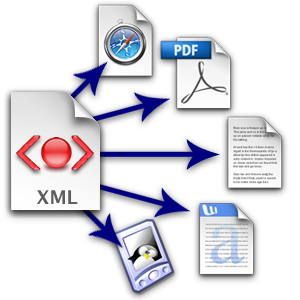 Transforming existing web publishing formats to XML has been one of the most prolific tasks organizations perform, apparently due to the various advantages provided by the XML format. DataEntryHelp is the best place to get your XML conversion projects done. Through years of experience we have gained expertise with the conversion of both hard copy documents and electronic formats into XML. We have completed a variety of XML conversion projects for several global customers. At DataEntryHelp, we have a team of experienced professionals who use the latest content analysis and transformation tools to serve precise XML conversion services at lesser costs; the least in the entire outsourcing industry. We accept projects in all XML versions like DTD (Document Type Definition) and XSD (XML Schema Definition). The XML conversion projects are constantly monitored by our quality control team to guarantee accuracy near to 100%. In case you want to automate the process of XML conversion, we can provide software packages which can convert any existing electronic formats to XML. 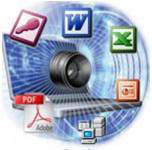 This software can be customized to suit an organization’s internal requirement. Our experts will study your organization setup and suggest the most convenient platform for implementing this software. Subsequent to installation, we will also provide a routine maintenance check for the software depending on the regularity of your convenience.